Blood pressure drugs are a steady business that’s often disrupted with recalls. 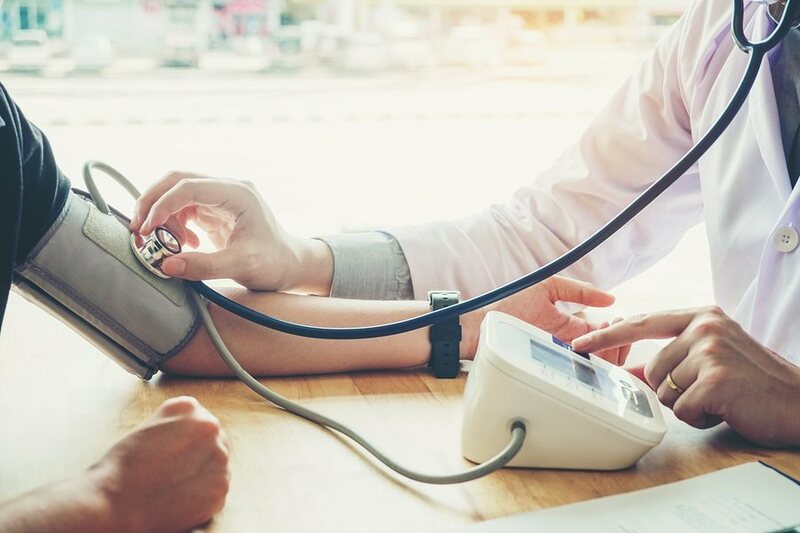 Since November 2018 through just after the start of the New Year 2019, six blood pressure pharmaceuticals have been recalled, all for containing a carcinogenic compound known as N-nitrosodiethylamine (NDEA) in their active ingredient valsartan. NDEA is classified as a probable carcinogenic, a classification of group 2A, just one level below group 1, carcinogenic. Even the corporate-sponsored mainstream news outlets have published warnings about these recalls. Maybe it’s time to look beyond pharmaceutical drugs to manage blood pressure. Valsartan was originally sold by Novartis as Diovan several years ago to reduce high blood pressure. Diovan products are not part of this recall. They made their own valsartan under their patent and didn’t rely on outside sources. But since their valsartan patent expired, two major Asian companies, Zhejiang Huahai Pharmaceutical Co. Ltd. in China and India-based Hetero Labs, have been manufacturing valsartan and shipping it to other drug companies worldwide that package and distribute generic valsartan under their individual brands. These two Asian companies are examples of active pharmaceutical ingredient (API) companies that provide other drug companies with principal active ingredients no longer under patent restrictions. This makes it easier for generic brands to produce and sell their own brands of drugs using those already manufactured main active ingredients. Many so called generic blood pressure drug brands contain valsartan from the two companies mentioned above. Not all high blood pressure medications contain valsartan. And not all valsartan products come from the companies that produced contaminated valsartan. But around 3 million people are on valsartan blood pressure medications. And the contaminated valsartan has been in the marketplace four years. A similar recall earlier in 2018 had found another carcinogenic item in valsartan, also classified as 2A or probable carcinogenic, known as N-nitrosodimethylamine (NDMA). In addition to its carcinogenicity, it’s also known to seriously harm the liver. Class action suits are already targeting the two Asian companies, and to lesser extents the companies that sold the tainted drugs, based on the earlier NDMA contamination. The suits are seeking damages involving cancer and/or liver damage from any valsartan based pharmaceutical over the last few years. Ironically, it was the two Asian companies who had spotted both the earlier and most recent carcinogenic contaminators and ignited a chain of recalls from its downline of drug company customers. The FDA announces and monitors voluntary recalls, but does not enforce them. So far, this is strictly a manufacturer’s contamination issue, which is culpable under class action suits. To determine if you or a loved one was using contaminated valsartan products, you can access a list of companies involved with the blood pressure drug recalls here. It’s advised you hang on to whatever bottles of the drug you have for evidence or inquire with your pharmacist to obtain records of which valsartan products you were given. Canadian residents can submit claim requests to Merchant Law Group. USA residents can submit a short form request through drugwatch’s case review to determine if you qualify and be connected to a law firm involved with valsartan recall lawsuits. Or call drugwatch directly at 877-239-9641. High blood pressure, also known as hypertension, has been tagged the “silent killer.” It’s called that because there’s a commonly held dogmatic belief about it being dangerous when your blood pressure reads are outside certain parameters, which are currently decided by committees that usually have members with pharmaceutical industry ties. Not all medical practitioners agree with what the one-reading-for-all standard considered “normal” blood pressure, currently at 120/80. The reading for stage 1 hypertension is now 130/80. Before this, hypertension stage 1 was called at 140/90 for persons over 55. It went even higher for people over 65. Blood pressure medications do have their share of side effects, some scary, some mild. But any unhealthy condition from a medication is a sign of being out of balance to invite other health issues. Natural herbs or plant medicines and dietary or lifestyle changes are the best ways to reverse high blood pressure safely without drug side effects. In other words, skip the pharma meds and allow your lifestyle changes to include moving toward or into a ketogenic diet while researching natural herbs and plant foods that will balance you out of the metabolic dysfunction that creates both high blood pressure and diabetes 2. The following video explains the high insulin factor behind high blood pressure, a simplicity worth repeating. *The information contained in this article is NOT medical advice and is for informational purposes only. Always consult with your physician before deciding to stop any medications. Statins are widely prescribed to lower the blood cholesterol levels and claim to offer unparalleled protection against heart disease. Believed to be completely safe and capable of preventing a whole series of other conditions, they are the most profitable drug in the history of medicine. In this groundbreaking book, GP Malcolm Kendrick exposes the truth behind the hype. 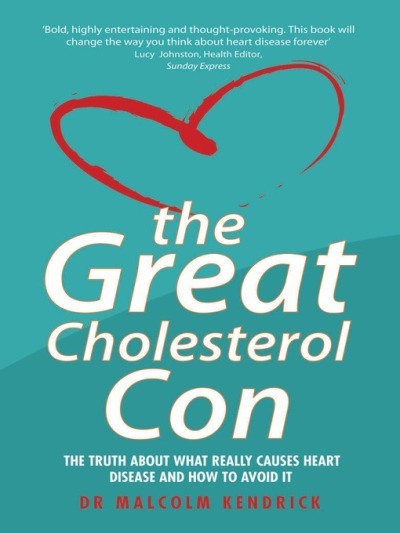 He will change the way we think about cholesterol forever. Dr. Kendrick is a GP in Macclesfield UK. He writes for Pulse magazine in the UK, and redflagsweekly, an online health magazine based in Canada. He has written technical papers on insulin resistance and multiple sclerosis.